NASHVILLE, TN – The 5th annual We Love Christian Music Awards were recorded live at TBN Studios in Hendersonville, TN on February 2 and featured a lineup of performers and presenters from some of today’s most popular Christian artists. Among them was 2015 Next Big Thing winner, Spencer Kane. Nominated for Male Artist, Indie Artist and Most Influential Artist of the Year, the 20 year old Pop R&B solo artist and current member of the renowned band Anthem Lights, swept the categories garnering the most fan votes in each. 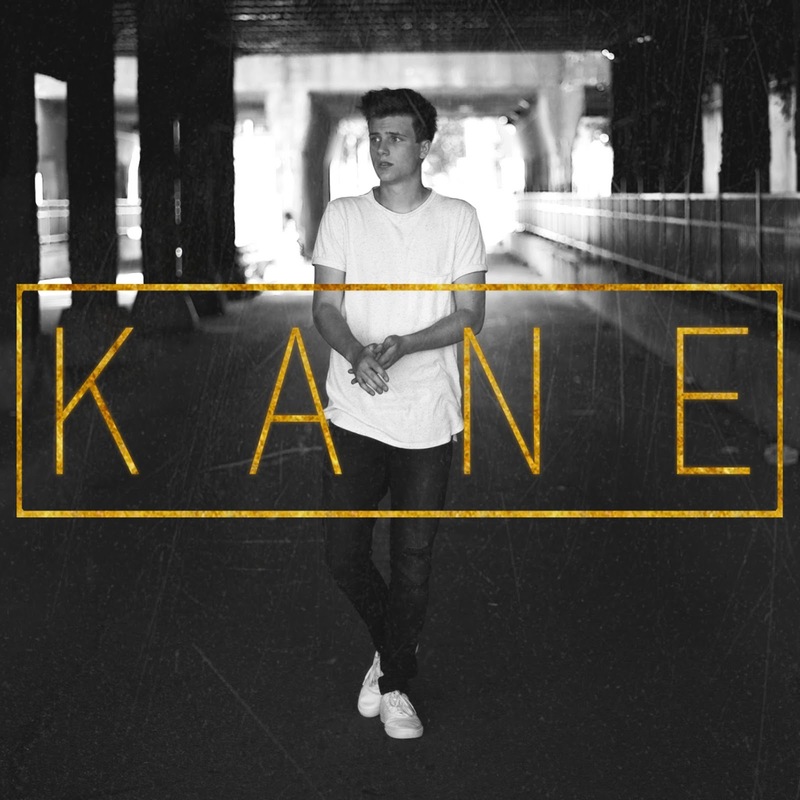 “Being known as an independent artist has many challenges versus those who are signed to a major label, but times like this remind me how much fans can really make a difference,” said Kane. “I know there are a lot of fans that listen to my music, but when the world’s largest Christian music website nominates you and the fans respond with overwhelming votes, it is pretty humbling,” he added. 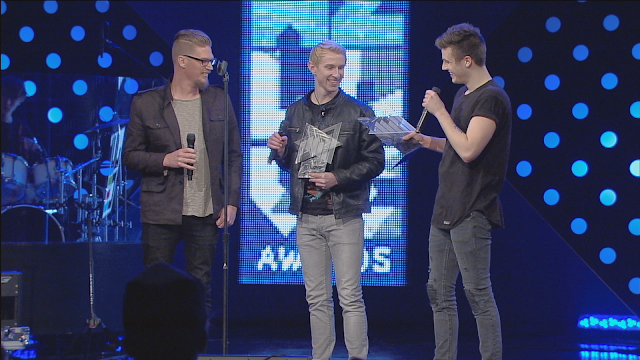 The We Love Christian Music Awards is the only fan based vote award event of it’s kind in the Christian Music Industry. The traditional Gospel Music Association (GMA) holds annual awards called The Dove Awards to honor the most outstanding artists and producers in the Christian and Gospel Music Industry. The nominees and winners are all chosen by GMA members. While the Dove Awards are similar to the Grammys, the We Love Christian Music Awards would be the equal to the People’s Choice Awards. “Spencer is such an unusual artist in the business. He maintains his full time role in the Anthem Lights band and yet still produces and releases his own music as a solo artist. Apart from the great quality of his 2016 album KANE, we felt that his overall work in both Anthem Lights and as a solo artist deserved a nomination in the Male Artist and Indie Artist categories this year,” stated We Love Award founder, Kevin McNeese. Kane continues to release music apart from Anthem Lights, but tours nationally with the band as well as alone for his solo work. When not involved in music, he may be seen on television or on the big screen acting. He resides in Nashville and plans to release a new EP in late 2017. Touring nationally since 2012, a regular cast member of season 4 and 5 of tv sitcom, iShine Knect (TBN Network), Billboard Magazine's #2 Emerging Artist (Jan 17, 2015 issue), 2015 Next Big Thing in Christian Music Award Winner, MTV Cover of the Month Finalist (Dec 2016)he has social following exceeding 100,000 fans worldwide and is most known for his cover song Can’t Sleep Love (Oct 2015) and membership in the band Anthem Lights. This year has been crazy busy, but all in a good way. Just a recap of all that happened in 2016. Announced my joining Anthem Lights in February. Have built lifetime brother relationships with all of them and regret nothing about joining. Did the music festival circuit this past summer. God's Not Dead 2 (FILM) was released and was my debut big screen appearance. Was blessed to see Anthem Lights have two videos go viral with each having over 20 million views (first time ever in the history of Anthem). Moved into my first apartment back in June and now live in Nashville, Tennessee. Have recorded some amazing new cover songs with producers I've met in Nashville who are insanely talented. Was contacted by MTV about my MERCY cover and it is up for COVER OF THE MONTH for December 2016. Was notified by WE LOVE AWARDS that I was nominated for BEST MALE ARTIST and INDIE ARTIST OF THE YEAR award (voting ends Jan 27). Like anything in the music industry, it's incredibly hard work that requires a lot of commitment, energy and willingness to overcome rejection. I love what I do, I love my fans, and I love being able to create something that reaches so many people in a positive way. Thank you all for an amazing 2016 and I can't wait for ya'll to see what's in store for 2017. Be ready. The street team has been working together since early 2014 and we've had a great success in the closest of my fans helping me with a lot of things in my career. More importantly, we have a true family that have become my inner circle, and I'm so grateful. My career has grown over time and so has the effort of the street team. We need more volunteers to keep up to speed with the many projects that happen. Have a creative mind for helping develop new and exciting ways to promote Spencer Kane. Be anywhere in the world, but must speak English fluently. Have access to social media and the internet through wifi and mobile phone access 24/7. Have a skype account with a functional video camera to be involved in team meetings from time to time. Have a TWITTER, FACEBOOK, INSTAGRAM, YOUTUBE, and SKYPE account. Must also have access to iTunes, Spotify and/or Apple Music. Dedicate at least 30 minutes a day to working on projects assigned by the team leader. Sharing and posting about stuff happening with Spencer (concerts, new music, contests, public appearances, etc.) on social media platforms. Finding new #kaneiacs by introducing them to his music and asking them to participate in social postings from time to time. Be willing to volunteer at any Spencer Kane event in your area (within 2 hours) to help at his merch table or to do other things to support him when he is nearby. Be willing to be 100% NINJA secretive about being on the team. Simply, you don't talk publicly about things discussed in the inner circle unless asked to do so by the team leader. Not even tell people you're part of his team if you're added. Be willing to participate in publicity videos or promotions on camera as may be needed. Your social media should be free of negative or immoral content or words. We want positive representation as Spencer tries to be positive in his career. Projects involve working online and reporting results to various team leaders. Projects vary and are assigned when the need arises. Must have TWITTER, INSTAGRAM, FACEBOOK, YOUTUBE, SKYPE and access to iTunes, Spotify and/or Apple Music. Must be willing to use your social accounts to post about Spencer and any specific post topics as assigned by the street team leader. Daily minimum time commitment is not as essential as A-TEAM, but checking your skype daily for updated instructions will be essential. Have full parental permission to stay involved in the street team (if under 18). Requires a parent or guardian to contact giving permission in writing. After carefully considering the TWO options to join the street team, please send an email with a subject title of "KANE TRAIN MEMBER TEAM A (or B)" to info@spencerkanemusic.com. Please include your city and state, age and links to your social media accounts AND SKYPE NAME. Someone will respond to you asap. LYRICS FROM THE ALBUM "KANE"
Why the kid won't blow no pill? Why he always keep it trill? Why he still ain't copped no deal? Coop Deville low, is you healed though? Why ya man trying to stunt? Why you messing with my head like a toupe? A New me! Whipping with sauce, Lou Rawls, finna dip off! more. I know that I could step out and stop wasting time. Give me a love so true. To light up the world for you. cause all I want is a heart like you. You are the one who makes the broken beautiful. After ten months of planning and writing in the studio, recording, and a whirlwind joining of Anthem Lights in between, I'm finally ready to release my new full album project titled KANE. I've shared samples of the songs the past six months on social media and my live video chats with all of you but have only released 3 of the songs from the project publicly. Any of you who have come to the Millennial Tour this past spring 2016 will have heard many of the new songs on this album. Some of you have purchased the 7 song EP from the new project from my online store but finally you'll get to hear the entire project when it releases on July 22, 2016. I will be performing that night at SONSHINE FESTIVAL in Somerset Wisconsin just outside Minneapolis, MN. My hope is to have the new full CD available for the merch at that show and every personal concert from then on. I wrote this one with a lot of inspiration from Michael Jackson and Chris Brown vocals and music. The lyrics really discuss the importance of knowing that when your heart is full of junk and ugly sins, God wants to take that all away from you and replace the void with His love. Probably the most fun track on my new project, this song gets pretty fun to sing along to because the hook is so easy to remember... the song title. Yes, I do actually rap in this song toward the end, so get ready. The lyrics talk a lot about how the world knows we are Christians by how we show love to one another. People get confused when we choose to love on people instead of judge them or hate them or try to put our religious rules on them. This song is about just LOVING people the way God asks us to. The last song written for this album but one of my favorites because it has a really laid back and R&B vibe. The lyrics just talk about how sometimes we need God to draw it out for us and reveal His plan in our life. This is a TURN UP song and is fun in concert. I hope you feel the flow when you listen cause it's like an anthem about stop worrying. God really wants us to know when you trust Him and focus on Him, it will truly be alright. Most of you have already heard this one and it's probably my favorite vocal track on the project cause it's just so smooth and reminds me of a song you'd play with the top down on your car and just cruisin. When I give in to God and set my will aside, I find that He lifts me up to a new level and puts me in a new setting to represent Him to the world. This song is about being ready to be taken to new levels in Christ. This song is exciting for me because I wrote 100% of the lyrics and had the great experience to work with Doug from We Are Leo to produce it in Chicago. This song is very Maroon 5 inspired and the lyrics just talk about how we can overcome our past and experience a breakthrough when God is involved in your life. We sometimes have habits and things we cling to instead of God but when we focus on Him, we can experience a breakthrough. I loved recording this cover of Hillsong Young and Free but having it rearranged like a worship song. The lyrics are truly amazing and it was such a great end result with Alexis singing on the track. This song was actually written by request of a film maker who considered it for a soundtrack. Unfortunately it wasn't chosen in the end, but I still like the song anyway. It's a bit out of my comfort zone as far as style, but it's a very simple ballad-like worship song that explains the amazing grace of our Lord when we mess up. This song is probably my favorite LIVE song to perform now because it's just so unique. It's both a Turn Up and Praise and Worship track all in one. The Bible tells us that Jesus causes us to Triumph (win) and sometimes when we are slammed with a trial or major setback in our natural life, we can get discouraged. But the truth is that we should never forget WHO'S team we are on and that in the end... WE WIN. This song was released a few months back as a free download for the first 100 people to get it. I wrote this song pretty quickly and it just flowed well. The lyrics are metaphorical because once we become forgiven in Christ, we are no longer the person we use to be. That old life is a ghost that no longer lives. This is a great dance remix of the song from my last album. Nothing changed lyrically, but DJ's will probably like to play this in the clubs. So that's it. I can't wait for you all to hear the NEW me. KANE is a complete project that represents my current creative flow and how I want to be in the Christian music industry. Most of you don't realize my last album RUNWAY was mostly written and recorded 4 years ago but it took a while to release everything. So many of those songs were when I was 15 years old and a LOT has changed since then in my vocals and music style. I love you all and thank you for your extreme patience while we worked on this project in between my new passion of being involved with Anthem Lights. God is so good! Ok, so this has been a crazy year! It's been both emotionally and physically draining. But it's also been amazing. Here's my recap. My song RUNWAY earned #2 Billboard Magazine Emerging Artist Chart rank in January. Got to perform at my very first PLAYLIST LIVE in Orlando in February. I performed nearly 50 concerts in 2015 including being part of opening for artists like FOR KING AND COUNTRY and NATALIE GRANT. I was cast in my first 2 movies. GOD'S NOT DEAD 2 (April 2016) and CAMP COOL KIDS (Summer 2016). Made my first trip to L.A. for a week and met some amazing industry folks that I'll never forget. Wrote and recorded 11 new original songs which will be released in 2016. I could probably list a lot more details of stuff that happened during the year, but it would take too long. I'm so thankful to God for my family, friends and amazing #KANEIACS who have shown me so much support. I know 2016 will be incredible and I'm looking forward to sharing some details about new things you all can expect. There are some HUGE projects and announcements that I think you all will be as excited about as I am. So Billy grew up going to McDonalds with his family. He absolutely loved the Kid's Meals and playing in the indoor playground when he visited the dining room. His family would make a trip through the drive-thru a few times each week and Billy's appetite for McDonald's french fries grew into a passion. As Billy became a teen, he began experimenting in the kitchen with his own cooking of burgers and fries. His parents were intrigued one day when they smelled the aroma that spread through the house. His dad popped in and asked Billy what he was up to while seeing a basket of home cooked fries laying out on the counter. He sampled one. "Wow. These taste pretty good son. You made these yourself?" Billy nodded. His dad mentioned an upcoming county fair food contest that he should consider entering his food recipe because it was pretty good for a young teen just learning how to cook in the kitchen with no training or classes. Billy took the chance and entered his best dish along with over 100 other teens in the county. The judges each sampled the entrants food and eventually selected Billy's as the runner up to an older teen who had been cooking for years and had formal training in culinary arts. The 2nd place finish earned him a $100 gift card. Billy was encouraged. His friends and family were equally impressed and suggested he take his recipe and enter a national cooking contest in the big city next to his small home town. Billy did it. Out of over 120 other cooks Billy was the youngest and, like before, ended up 2nd place out of all of them, with a 27 year old taking first place. The judges praised his ability and skill in culinary arts at such a young age. With the help of his parents, Billy asked if he could offer some free samples of his recipe to people from all around to see if the public, too, would appreciate his food. So the family set aside enough money to buy the ingredients and began to help him make up sample size meals that could be reheated and taste like it was fresh from the kitchen. They advertised on social media that he had the free samples available and to his amazement, thousands of people came and tried it out. Many came back throughout the week for more samples because they really liked it. The family was a bit shocked. What was a casual experiment was looking like a promising future for Billy if he wanted to keep working at it. So, the family decided to focus more on Billy's skills in the kitchen and began to reach out to places beyond their county and state to see how his recipe would fair with other public members. Like before, they loved it. Except this time, the time, investment and people needed to keep up with the demand became quite expensive and the family needed to find several volunteers to aide in the process of simply making the recipe and many more volunteers to help deliver it to the distant locations. Billy's parents couldn't continue to support providing the samples without having some way to get some sort of return on the investment. So Billy set up a website and offered for the public to buy his recipe for $1 per portion. Some people loved the recipe enough to buy 1, 3, 5 and even 10 portions at a time. But once the free samples were gone and he started charging for it, the demand dropped. Orders were very few. Billy talked to his dad. "I don't understand. When we were giving samples away, so many people came and got them and kept coming back. They all told me how much they loved my recipe. We even had a few calls from major restaurant chains in the country asking if I would be interested in coming to work for them as a chef. But now it looks like nobody is buying anymore and I'm not getting those calls," he told his dad. Billy's dad decided to talk to a few restaurant and food company executives about how Billy could take his recipe and make a career from it. They, like the ones early on, all felt his recipe was unique and they could see how it would be accepted by the mass public. This excited Billy and his family. But when it came down to possibly hiring Billy, none of them offered. A few asked if he'd be willing to give them his recipe for free since they could handle the man power and money it would take to handle the demand that would happen once they announced to the public that Billy's recipe would be available in every city in the country. But Billy's parents refused to let his recipe be taken for free. One day, Billy was in the local grocery store and saw shelves and shelves of premade food that looked similar and was made from very similar ingredients. It was then that he realized maybe he needed to change his formula a little since it seemed that he had competition that he didn't know about before. Billy tweaked his formula and sent it out as a free sample again. And again, like the beginning, the public loved it and the demand skyrocketed for free samples. The family felt surely that this time they could keep up. The dad left his job and focused full time helping his son keep up with producing his new and improved recipe. They borrowed money to buy the ingredients and had to hire a few part time employees to help keep up with the deliveries since the volunteers they had from before were burnt out and not able to help again. The newspaper and several culinary magazines did a few articles about Billy's recipe and his popularity spread around the country and even overseas. The internet and social media helped him find new potential customers for his recipe. However, the followers and friends on social media also loved the recipes of a few other young chefs like Billy and because those others were also just starting out and giving away their recipes for free, Billy was unable to convince most of them to buy his recipe when there were so many others willing to give theirs for free. One day the phone rang and The Food Channel was calling and asking if Billy would be willing to feature on their weekly TV show "YOUNG CHEFS". Billy was shocked but humbled they would even consider him. His parents researched it and saw it as a great opportunity to show the whole country why his recipe was good. Surely, then, the viewers of the show would become customers for Billy's recipe. Billy was still in school and doing his best to balance being a student and trying to work on becoming the best young chef in the country knowing the TV would give him the exposure. He worked it out with his school to finish his classes online so he could focus full time on making his recipe and traveling to the TV show. He left his friends and family and had to learn how to focus on his cooking more than what normal teens would be doing. The family supported him but they had since lost so much money they weren't sure how to keep his dream alive. The cost of travel and the ingredients and being on the TV show weren't possible to cover from his mom's job alone and the TV show wasn't offering him a paid role, but just all the exposure. It was their way of justifying not paying him or covering his expenses. Before long, Billy's popularity became even more than ever before. Billy's Recipe became well known. One evening, Billy's dad sat him down to explain that in order for Billy to continue trying to be a chef, he would need to find a way for his ingredients and travel to the TV show to be paid. Billy was doing all he could to finish his classes, be in the kitchen and still send out free samples to keep people interested in his recipe. He had already tried many times to ask the public to buy his recipe, but each time, they refused. So Billy had to make a decision. He would either pray his dream of becoming a chef which could support the costs for ingredients and the staff it would take to make the recipe would miraculously happen, or he would have to go get a job that would not allow him the time to make his recipe anymore. This is what it's like to be an artist in the music industry. So this new album has 5 songs never released until this album and 5 songs that had previously been released as an EP before. Two songs, SONG FOR LOVE and RUNWAY, were the most Pop R&B sounding that I released. However, there are two other songs I've not really talked about except at concerts. This song is actually a cover song that was originally released in 2010 and written by the great producer Chuck Butler (who also recomposed the song for me and recorded with me at Sony in Nashville). The lyrics seem to be obvious if you listen, but they were impacting to me because I know a lot of people use words to hurt one another or to get back at each other in arguments. Especially on the internet, I find a lot of times when people comment or post words, they can be misunderstood or misinterpreted. I think it's sad that we don't choose to find words of encouragement and try to use our ability to speak LOVE instead of hate. Martin Luther King Jr. has been quoted a lot recently with his official holiday and also the movie SELMA that came out the past month. He used words to encourage, challenge and bring light to injustice. But sometimes people use words to bring about harsh judgment, hatred, insults and things that are not from a place of LOVE. I like this song for a few reasons. It's music arrangement is pretty good to dance to and the lyrics actually are important to me to share with other teens and young adults. Our words can either be fruit or poison, we can always choose what we say. Nobody but us is in control of our words. This song is the first one I wrote that was intended to be more of a worship style and has lyrics that talk about how easy it is to get so caught up in your own life that you forget there are people around you that may be going through something equally or worse than you think you are. Having a heart which is focused on others and their well being is something we should all be focused to do. Our choices should be to care and love on others versus being self focused. The bridge of the song lyrics is my personal prayer about having a fire inside of me that takes over and oozes LOVE toward others. That's where I want to make sure I don't get so self-focused that I overlook the hurting ones around me. I like this music arrangement because it is still pop R&B but more laid back. This album has been helpful to build my confidence and skill as an artist and song writer, but I always want to make sure that the reason why I choose to include certain songs or lyrics in my music can be something I share outside the paper sleeve in the CD case which has them printed out. category for the 2015 We Love Christian Music Awards (www.WeLoveAwards.com). four other emerging artists, but is unique in that most are adult groups. this is kind of a stamp of approval to be noticed this way. I’m honored,” he added. sincere heart for the younger generation that obviously are resonating with his music. to thousands of fans he is reaching." different tours and several festivals. during the February tour of The Rock and Worship Roadshow in 2015.